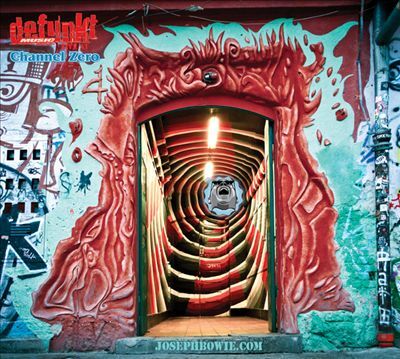 Founded in 1978 by Trombonist/Vocalist Joseph Bowie (brother of Association for the Advancement of Creative Musicians and Art Ensemble of Chicago co-founder/trumpeter Lester Bowie), Defunkt has existed as somewhat of an anomaly, a Black band that initially gained notoriety while being active in New York’s No Wave Punk scene. Musical circles alongside noisy Punk legends like James Chance and The Contortions, DNA and Teenage Jesus & The Jerks while remaining steeped in the deep reservoirs of Jazz, Funk and the Avant Garde. After many personnel changes, Defunkt’s classic lineup has reunited and released Live At Channel Zero on the legendary ESP-Disk’ label. Live At Channel Zero captures the band in the midst of a European tour, with the album being compiled from recent live sets in Slovenia (tracks 1-7 in 2015) and Germany (track 8 in 2007). Despite its hiatus, the band is in top form. The band comes in hot, opening with “In the Good Times” a showboating Funk jam with a bold call and response horn line. The energy of this set only increases with the manic double time “Make Them Dance”. A furious Hendrixian guitar solo escalates the intensity of the jam until the whole thing collapses into a spiraling storm of AACM style Brass and percussion. The swinging Bop-referencing opening section of “Eternal Triangle” melds into a dancey/James Brown-style Funk groove complete with deftly adlibbed skat vocals. While Live At Channel Zero is packed with innovative and downright left-field ideas, structures and musical moments, the album comfortably melds it’s experimental edge with an accessible party atmosphere. With the band ripping through tricky and unusual changes, laying down solos that require the utmost technical skill and shouting out to the audience, Live At Channel Zero is pure energy and joy. The live set more closely resembles the ecstatic vibe found in a back-road Southern Juke Joint than anything related to the Jazz Avant Garde. With top notch playing as well as ideas and arrangements that are fruitful and inventive Live At Channel Zero is a strong offering from a veteran band.